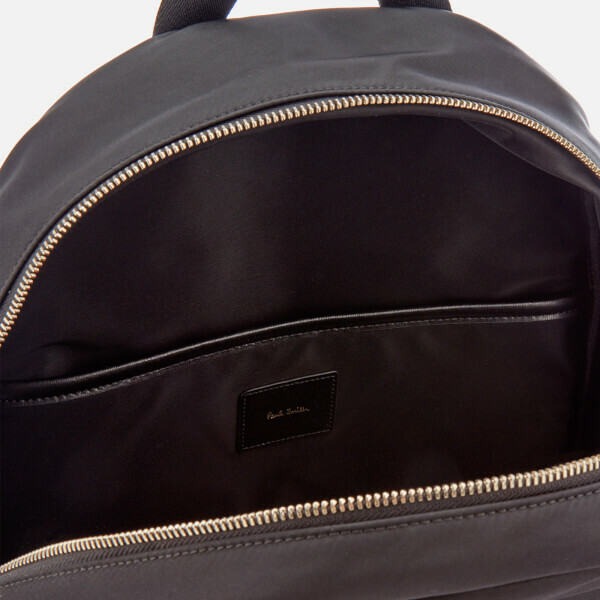 Men's black rucksack from Paul Smith Accessories. 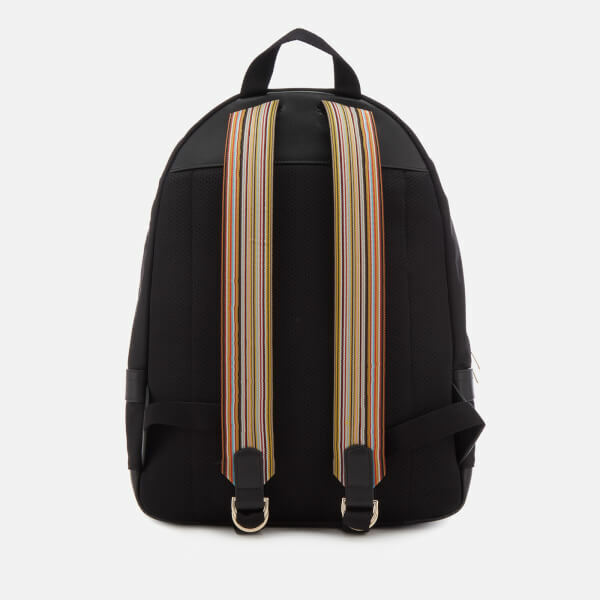 Crafted from technical fabric with a breathable mesh reverse, the backpack is designed with adjustable ‘Signature Stripe’ webbing shoulder straps and a zip pocket to the front with a ‘Signature Stripe’ trim. 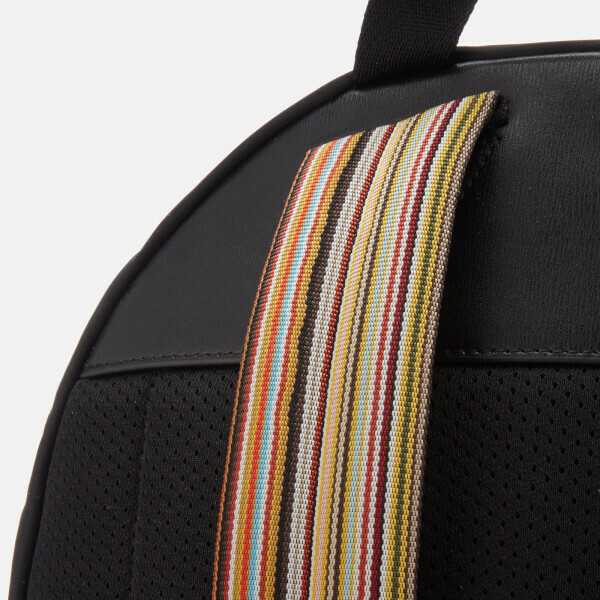 The two-way zip around closure opens to reveal a zip pocket on one side with a Paul Smith leather patch, two slip pockets on the opposite side and a padded laptop pocket. 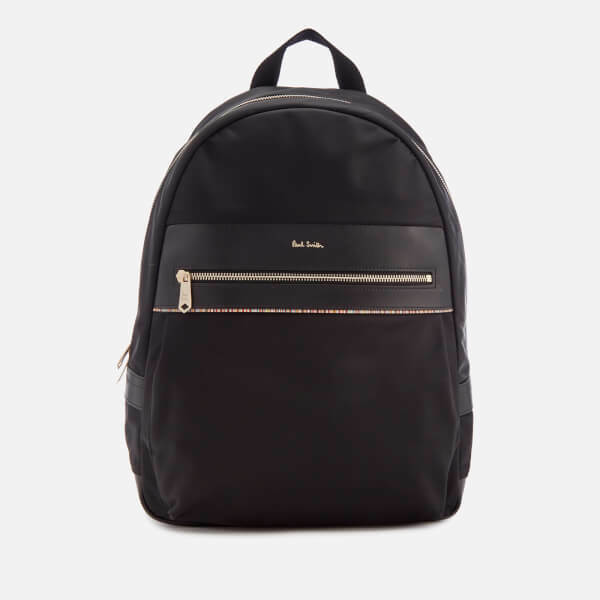 Complete with gold-tone, logo-embossed hardware, a signature gold foil Paul Smith logo on the front and a branded dust bag.